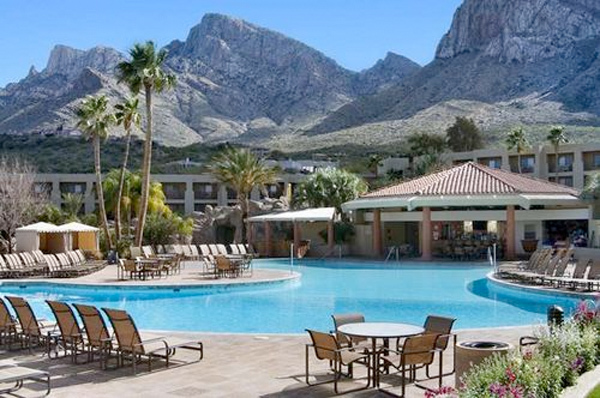 Looking to make last minute plans for the long weekend, Tucson’s Hilton El Conquistador has just the deal. This Labor Day Weekend, guests of Hilton Tucson El Conquistador will enjoy a celebration full of exciting and educational activities and live performances from Kaci Bays and Rumbo Nuevo. The resort’s “Edutainment” event series will continue through Labor Day Weekend with desert discovery tours, visits from desert animals, stargazing, science experiments and more. Other weekend highlights will include poolside games, cookie decorating and watermelon eating contests, cooking demonstrations, “Cosmic Slide,” dive-in movies and food and beverage specials at the resort’s signature restaurants. On Saturday, September 1 from 7 to 9 p.m. Kaci Bays, “The Sweetheart of Branson,” brings a long country tradition to Hilton Tucson El Conquistador. Guests will delight in Kaci’s renditions of popular country music from legendary female artists including Loretta Lynn and Dolly Parton. On Sunday, September 2 from 7 to 9 p.m. the resort will fill with the sounds of Nuevo Flamenco and Spanish Guitar as Rumbo Nuevo performs a blend of Rumba, Nuevo Flamenco, Spanish and World Music. Guest will enjoy music by the Gipsy Kings, Ottmar Liebert, Jesse Cook and original compositions in the same style. Labor Day Weekend rates at Hilton Tucson El Conquistador start at $109 per night. Hilton Tucson El Conquistador, www.hiltonelconquistador.com.